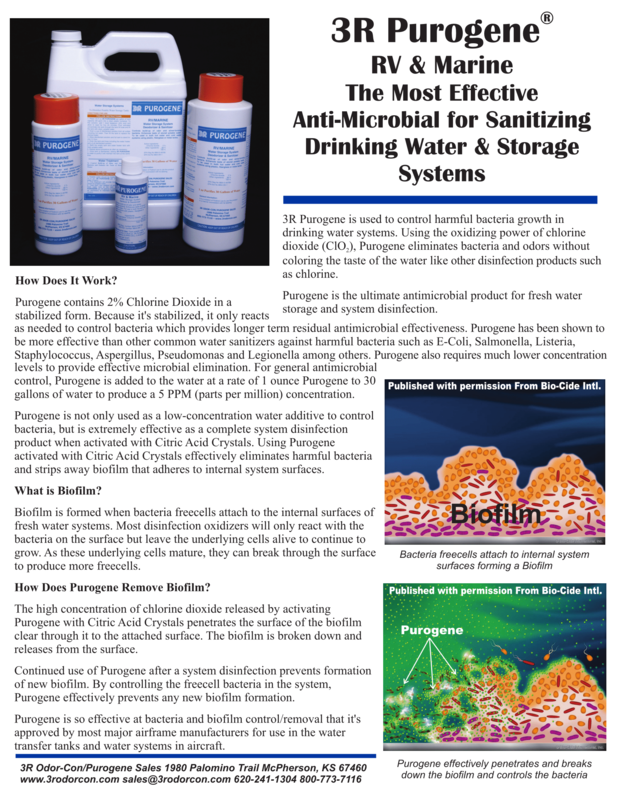 Purogene instead of Chlorine! It is used to sanitize first, then to keep pathogens out of your drinking water as you drink it! Buy TWO and get free shipping! Purogene: This treatment for fresh water tanks is not harmful as a maintenance product, has no smell or taste, and can simply be added to the tank as needed without further effort to drain, freshen, etc. One quart of concentrated additive lasts a long time.